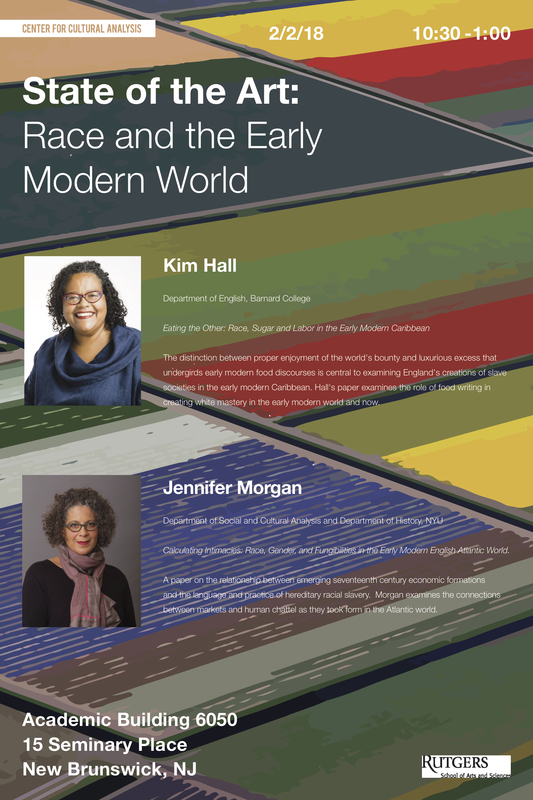 Join us at Rutgers on Friday, February 2, 2018 for a symposium on “Race in the Early Modern World,” featuring Kim Hall (Barnard) and Jennifer Morgan (NYU). Hall and Morgan will each give papers, followed by collective discussion. Lunch will be served after the event for all attendees. Sponsored by the Working Group on Race and the Early Modern World at the CCA.